This is a question we receive repeatedly, probably because most people deal with monkey mind in and out of meditation practice. Whether the mind wanders to the future and fantasizing, or is resting in resentment and the past, we all face monkey mind in our practice. Sometimes it is mild and we’re able to work with it, while other times it consumes us. Sometimes we fight with the wandering mind, resisting it and creating stress. Sometimes we give up on our practice, especially when we’re beginners to meditation practice. There are different ways to deal with monkey mind that work for different people, and it may take some time to find what works for you. Monkey mind is a term that comes from Zen and Chan traditions of Buddhism. It refers to the state of mind in which thoughts arise rapidly and we find ourselves lost. The thoughts many be a number of things, and you may experience monkey mind consistently with specific patterns. Maybe you find yourself lost in worry about the future often, regretting a past action, or just bouncing from random thought to random thought. Two of the factors on The Noble Eightfold Path are wise concentration and wise mindfulness. 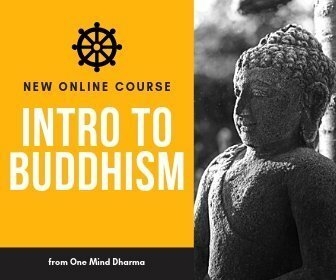 This is a foundational Buddhist teaching, and one which is related to our experience of monkey mind. When the mind is bouncing around like a monkey from branch to branch, we get ensnared and may be sent for a ride. Often, when the mind falls into this state, we are neither concentrated or mindful. As such, the presence of monkey mind calls for the cultivation of effort, concentration, and mindfulness. This can be especially difficult when we are just learning to meditate, but we can learn to work with monkey mind with consistent practice. There are many ways to work with a wandering mind. Many individuals find different practices which work well for them, but here are a few we have found to be useful in our own practice. The first step is to notice when monkey mind is present. This is a practice in mindfulness of the mind, and can take time to cultivate. When you’re meditating, practice noting the wandering mind. You don’t need to fix it, judge yourself too harshly, or try to figure out exactly why the mind wandered. Just by bringing your awareness to the monkey mind, you can dramatically change your relationship to it. Every time we notice that the mind is in this state, we are strengthening our ability to notice it in the future. Meditation practice offers us a relatively controlled environment to recognize monkey mind, and we can then bring this ability off the meditation cushion and into our daily lives. Of course, a concentrative meditation can be incredibly beneficial in working with monkey mind. With a concentration meditation, we focus our awareness on an object and practice bringing the mind back when it wanders. This cultivates a collected mind which is able to be with something without falling into distraction by other stimulation. This is a form of samatha, or calming the mind. Like other meditation practices, working with the breath is a slow cultivation. As we continue to collect the mind on the body breathing, we build the ability to rest our awareness on an object. When the mind does wander, we simply bring it back to the breath. Every time we bring the mind back, we are training the mind and strengthening the ability of the mind to focus. This can be immensely useful in working with monkey mind, especially when practiced regularly. Metta meditation can be another useful way to work with monkey mind. First, it is a practice in concentration and we can use it to cultivate a concentrated mind. Furthermore, the intention of metta practice is to cultivate a heart of loving-kindness, gentle friendliness, and goodwill. By practicing metta consistently toward ourselves, we can train the mind to respond rather than react to the monkey mind. As we grow more gentle in our responses, we are able to meet the monkey mind with patience and wisdom rather than reactivity and judgement. This takes time, but with consistent practice we can dramatically alter our relationship with the mind, especially when it is doing its own thing. Dealing with monkey mind can create quite a bit of stress and discomfort. This calls for some self-compassion. Compassion is the second of the Buddhist brahma-viharas, or heart practices. In compassion practice, we work on responding with a caring presence when pain arises rather than meeting it with aversion. Cultivating compassion can help us meet the difficulties we experience with patience and wisdom. When we become reactive, we are often not able to respond with mindfulness and wisdom. Compassion can help us to pause and be with the stress rather than trying to avoid it or push it down. 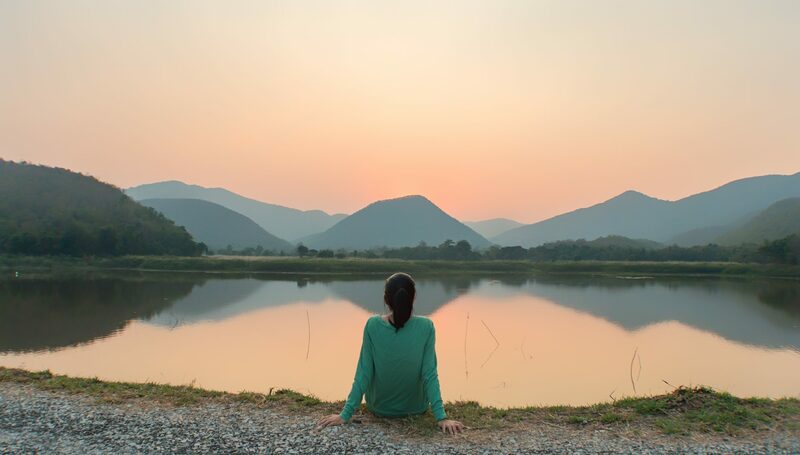 Mindfulness of the mind is a part of mindfulness practice as described by the Buddha in the Satipatthana Sutta, or the discourse on establishing mindfulness. When we notice that monkey mind is present (in meditation or in daily life), we can try to notice what the reaction is. Often, the reaction is perpetuating the suffering more than we realize. What is your natural reaction to noticing that your mind is wandering? Do you judge? Shrug it off? Let it wander? We can notice what our reactions are, and try to respond with compassion, mindfulness, and patience. The mind isn’t fully within our control in every moment, and we don’t need to take it so personally. Watch your reactions, noticing when you fall into resistance, craving, or aversion. One of the benefits of meditation practice is that we can bring our mindfulness into daily life. To help aid in this, we can find ways to encourage mindful moments in daily life. Although we may meditate in the morning we often go into autopilot mode as we go about our days. Try setting an awareness trigger. This is something that reminds you to return to the present moment. It can be a number of things, and you may benefit from investigating different triggers. We use a few things in our own practice, and have heard a few students share their ideas with us. When your trigger happens, take a moment to return to the present. Take a few deep breaths, feel the body where it is, listen mindfully, or do whatever brings you back to your present-time experience. Finally, recognize what your are consuming and how it may be impacting your experience. Part of the purpose of meditation practice is to cultivate a mind that is aware of cause and effect, or karma. There may be certain things you’re consuming that contribute to the arising of monkey mind. 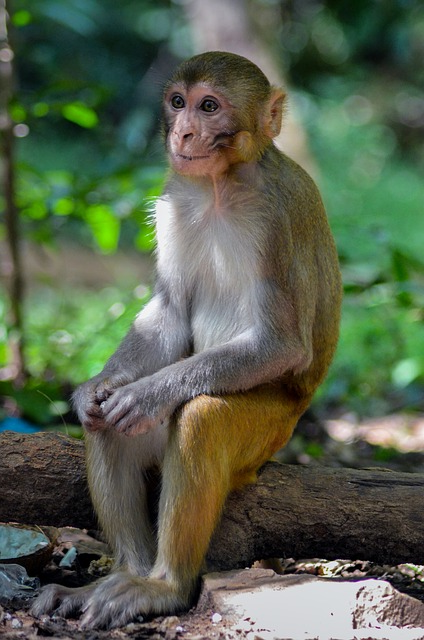 We’ve mentioned a few meditation practices for dealing with monkey mind. With some, the intention is to quiet the mind or calm it, while other times the practice is to bring awareness to the mental experience. You can also check out our Guided Meditations for Anxiety, Stress, and Worry Relief for some related meditations and practices.